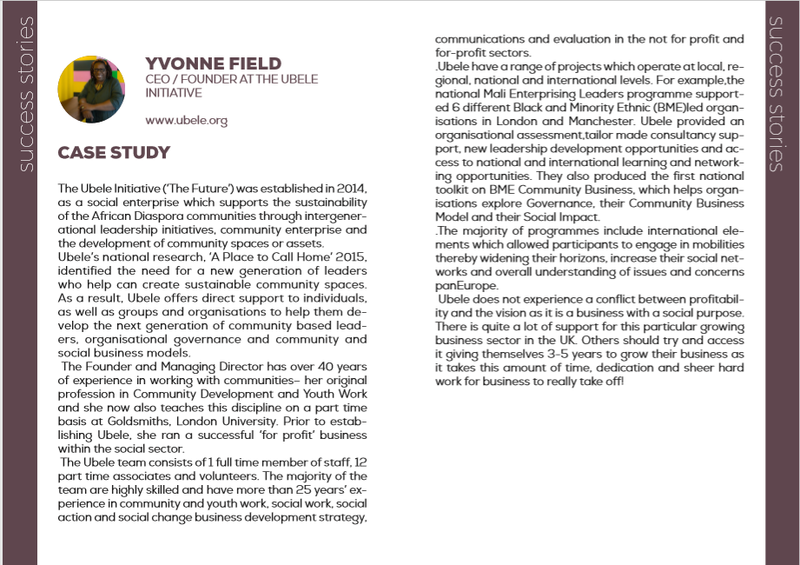 The Ubele Initiative (‘The Future’) was established in 2014, as a social enterprise which supports the sustainability of the African Diaspora communities through intergenerational leadership initiatives, community enterprise and the development of community spaces or assets. Ubele’s national research, ‘A Place to Call Home’ 2015, identified the need for a new generation of leaders who help can create sustainable community spaces. 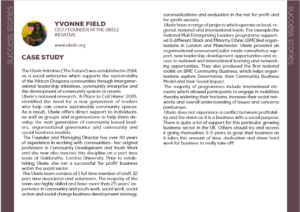 As a result, Ubele offers direct support to individuals, as well as groups and organisations to help them develop the next generation of community based leaders, organisational governance and community and social business models. 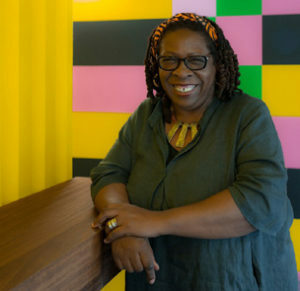 The Founder and Managing Director has over 40 years of experience in working with communities– her original profession in Community Development and Youth Work and she now also teaches this discipline on a part time basis at Goldsmiths, London University. Prior to establishing Ubele, she ran a successful ‘for profit’ business within the social sector. The Ubele team consists of 1 full time member of staff, 12 part time associates and volunteers. The majority of the team are highly skilled and have more than 25 years’ experience in community and youth work, social work, social action and social change business development strategy, communications and evaluation in the not for profit and for-profit sectors. Ubele have a range of projects which operate at local, regional, national and international levels. For example, the national Mali Enterprising Leaders programme supported 6 different Black and Minority Ethnic (BME) led organisations in London and Manchester. Ubele provided an organisational assessment,tailor made consultancy support, new leadership development opportunities and access to national and international learning and networking opportunities. They also produced the first national toolkit on BME Community Business, which helps organisations explore Governance, their Community Business Model and their Social Impact. .The majority of programmes include international elements which allowed participants to engage in mobilities thereby widening their horizons, increase their social networks and overall understanding of issues and concerns panEurope. Ubele does not experience a conflict between profitability and the vision as it is a business with a social purpose. There is quite a lot of support for this particular growing business sector in the UK. Others should try and access it giving themselves 3-5 years to grow their business as it takes this amount of time, dedication and sheer hard work for business to really take off!